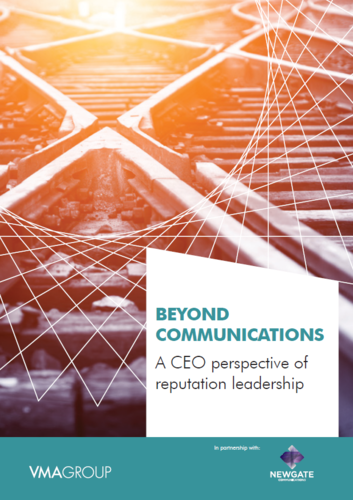 Between May and August 2016, VMAGROUP conducted 40 in-depth interviews with CEOs across Europe to establish their view of communications’ role within leadership and reputation. The findings were reported in Beyond Communications: a CEO perspective of reputation leadership is a resounding affirmation that, in the modern business arena, the communications director has a far broader task on their hands than their predecessors did in years gone by. Whilst the day-to-day skillset of the profession remains vital, those interviewed stressed the importance of a new approach and philosophy altogether. Find out about how we can help you with your commununications recruitment and executive search needs here.